Common document management mistakes could cause you to lose money, your clients’ trust and so much more. Mistake #6. You use self-storage for your off-site document storage. 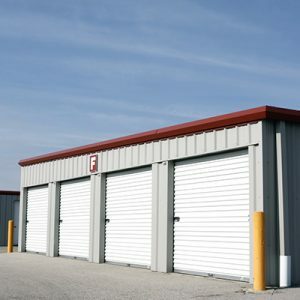 While any off-site storage is probably better than keeping all of your files on-site, storing them in a self-storage facility is not all that much better. If the only thing standing between your data and everything that threatens it is a padlock, then you won’t get the protection you need. Not only do you need an advanced security and surveillance system in place for your files, but it’s also important to protect them from rodents, mold, insects, fire and other outside threats. Unfortunately, self-storage just doesn’t cut it where document storage is concerned. Mistake #7. You don’t have a set retention policy. Mistake #8. You haven’t backed up your digital data off-site. You physical documents aren’t the only things that shouldn’t be stored on-site — at least not exclusively. It’s also important to back up all of your digital data to a secure, off-site location. Computers could get stolen or hacked into, and hard drives could crash. Take precautions against all of the threats to your digital data by backing it up off-site. Not only will this protect the information of your clients, customers or patients, but it will also ensure that your business can keep running if something does happen to your in-house data. Mistake #9. You haven’t kept your records management policies up to date. Do you have the exact same records management policies today as you did the day you opened your doors 20 years ago? If so, there’s a good chance that your current policies won’t keep you in compliance with current laws and regulations surrounding records retention. Your records management policies should be reviewed every so often to ensure that you are meeting all current requirements. It’s also important to note that your employees need to be retrained after every change occurs. Mistake #10. You hired the wrong document management company. Although outsourcing your document management is smart for many different reasons, you should know that not all document management companies can provide the same high-level of security you deserve. Your company’s records management system is important, and you shouldn’t rely on just any company to manage it for you. Instead, do your research and find a company, like Access Information Management, that can truly protect your data and make retrieval and retention much easier. 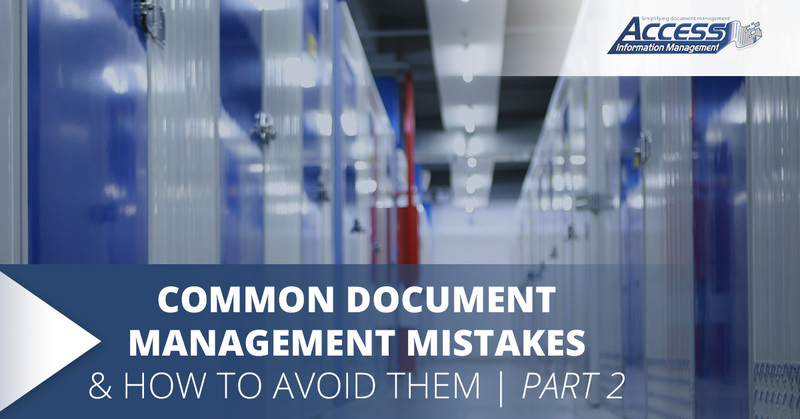 If you’ve been making any of the document management mistakes that we’ve discussed, it’s time to find a better solution. At Access Information Management, we serve the entire Greater Chicago area, including Waukegan, and we have what it takes to meet all of your document management needs. 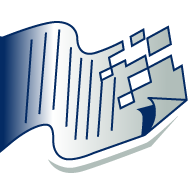 We provide a long list of services, from document storage to shredding and from document scanning to online data backup. We are also dedicated to being an extension of your company, which means that we are ready to provide you with the data you need, in whatever format you need it in, 24 hours a day, seven days a week, 365 days a year. Contact us today to get started.